Nepal is a hot spot of disaster and there is greater need for disaster awareness among people. Taking the advantage of time studying in DNGL program, I decided to share the disaster knowledge that I learned in Japan to EpiNurses (epidemiology + nursing) of Nepal as disaster nursing competencies are grossly inadequate in Nepal and nurses are inadequately prepared for disaster response. The workshop for the preparation of EpiNurse project implementation action plan was conducted in Nursing Association Nepal (NAN) on 26th and 27th February 2018, with 15 participants. 8 of them joined from outside the Kathmandu Valley. At the first day of workshop, presenting the power point entitled, “Learning from Japan in 1 year, linking to Nepal and EpiNurse”, the stories of Hansin Awaji Earthquake, Great East Japan Earthquake, Nankai Earthquake, DNGL activities and world atlas of disaster risk were shared, and how Japan and the international communities are working to implement Sendai Framework for Disaster Risk Reduction were explained. Nepal curriculum doesn’t include the concepts of tectonic plates. Feeling the importance to make the EpiNurses know how the Nepal earthquake happened, basic knowledge of tectonics, processes of earthquakes, history of Japan earthquakes, the history of Nepal earthquakes and the risk of Nepal for future earthquakes were shared. At the time of disaster, effective monitoring to reduce disaster risk has been a challenge. So from the local nurses point of view as Emergency Medical Team, how could they assess risks and contribute for ‘Minimum data set’ and for Sendai Framework were also discussed. The similar disaster education was also given to local nurses from Sindhupalchok district of Nepal. 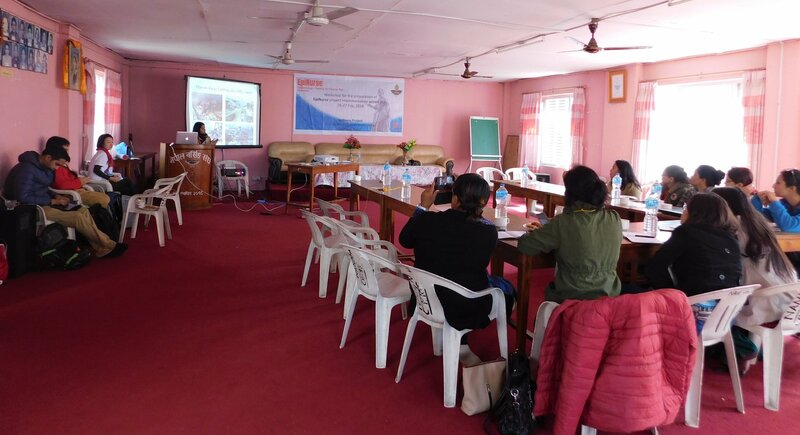 With the main objective of providing training to community EpiNurses for deploying assessment tool in community and soliciting feedback, Nursing Association of Nepal organized a three-day workshop on ‘Training and system orientation of Community EpiNurses’ in Melamchi community, Sindhupalchok Nepal from 26th to 28th March 2018. Twelve nurses from pilot sites participated in the workshop. 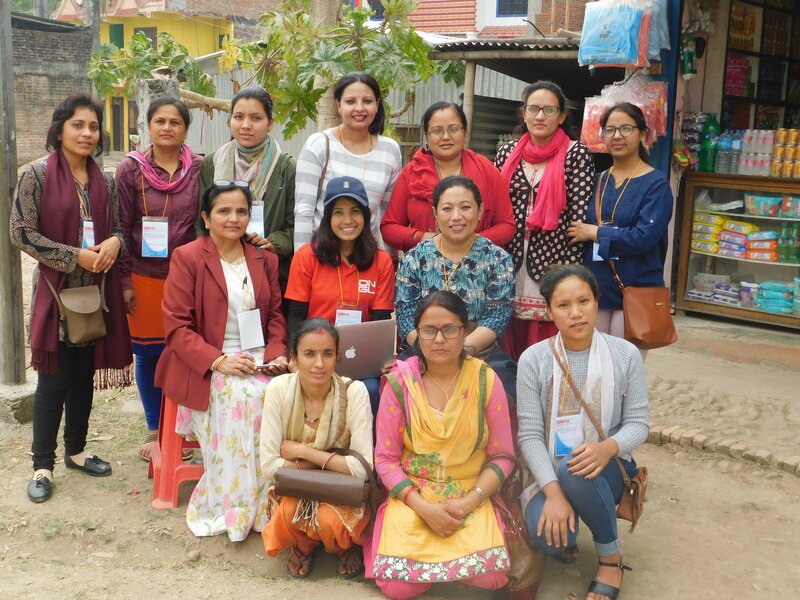 Training was provided by Sushila Paudel, doctoral student for Disaster Nursing Global Leader Program, University of Kochi and TOT members: Roshani Shrestha, Sharada Barakoti, Rajkumari Gyawali, and Basanta Pokhrel from Nursing Association of Nepal. The workshop included interactive lectures on common disasters in Nepal, roles of disaster nursing, introduction of EpiNurse Program, and sharing of EpiNurse activities in contribution of Sendai Framework. Training was delivered using learning techniques with an emphasis on interactive lectures, group exercises, group brainstorming and group presentation. Copyright (C) 2013 University of Kochi. All Rights Reserved.